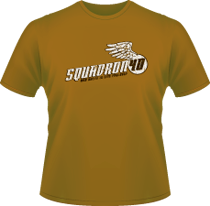 Inspired by Flash Gordon we have this cracking Squadron 40 design. Brian Blessed’s Hawkmen with angel-like wings and some classic lines....“Gordons Alive!!?!?”. So....Dive! Dive! Dive! in for one. A chocolate brown and white print on this tan/camel coloured super premium t-shirt and Nerdoh labelled for quality. We haven’t yet blogged about this subtle tee we have available....so here it is. With some fantastic films in the late 70s, early 80s, National Lampoon’s Animal House was one of a clutch of 'College' movies that had everyone rolling in the aisles. Starring John Belushi the movie is centered around Faber College and the Delta House fraternity. 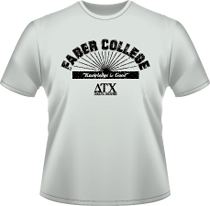 As well as the Faber College and Delta House logo we have their 'Knowledge is Good' catchphrase and logo emblazoned on it. So, become a Delta House fraternity member and get an unofficial Tee. A black distressed print on an ash grey super premium Nerdoh labelled t-shirt. Buy and check the shirt out HERE. Available now, for a hot, brawling summer, is this Fight Club inspired t-shirt. 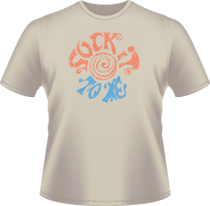 Worn by Brand Pitt in this cult film it comes in a cool sand colour with pastel peach and blue print...'sock it to me'. Nerdoh branded t-shirt in a super premium material for quality, longevity and class.